Great rooms present a special set of challenges when it comes to flooring. As the name implies, they are typically large in size so noise reduction is often a consideration. They are also spaces with multiple uses so flooring transitions might be in order for the best look and longevity of flooring. 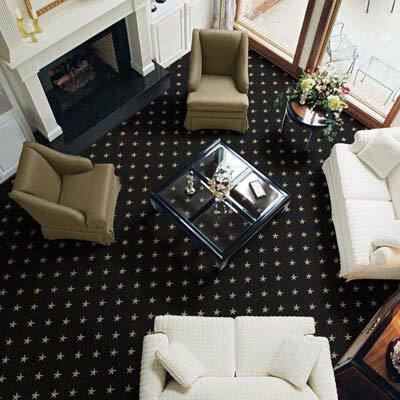 Let the design experts at Indianapolis carpet and wood flooring store, Kermans help you make the most of your great room floor. The great room often touches many other rooms in the house - rooms that have their own color scheme and purpose. So the floor in your great room needs to not just work in the room itself, it needs to coordinate with other spaces in the house. Wood flooring is a common solution for this problem and works well with other spaces. However, as this video from Kermans partner HGTV shows, there are still some concerns for that great room space: HGTV Video Great Room Flooring Causes Great Concern. 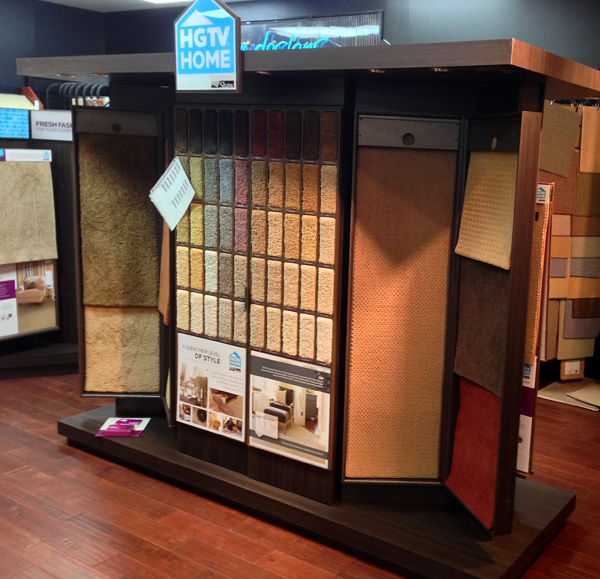 Did you know Kermans is the authorized retailer of HGTV Home Flooring by Shaw for greater Indianapolis? When you are inspired by something on HGTV or one of its publications, stop by Kermans to see samples of the flooring and we can help you make it part of your home. Chances are your great room is a space with multiple uses. There might be a sitting area and an eating area. Or a television watching space that flows into a bar. No matter how you use your great room, there is a flooring that works. 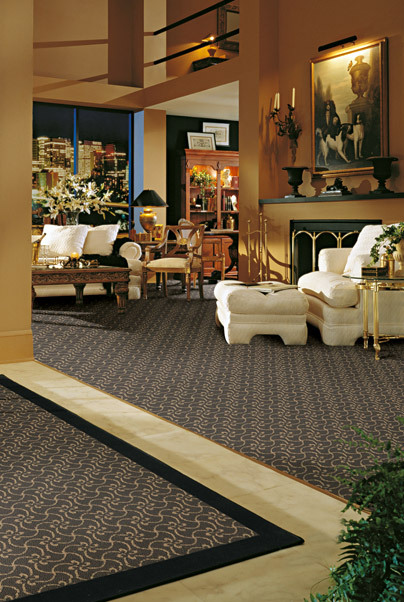 It is perfectly acceptable to select different styles of flooring to meet your needs. Perhaps a carpet in the sitting area that transitions into a tile floor in the eating space. Or wood flooring throughout the space with strategic use of area rugs to define spaces and make them their most comfortable. When Indianapolis homeowners need carpet or hardwood flooring, they turn to Kermans. Stop by our showroom on the northside of Indianapolis and experience our unparalleled customer service and selection for yourself. We look forward to meeting you!